The coffee house opened in 1945 where the mailroom is today. 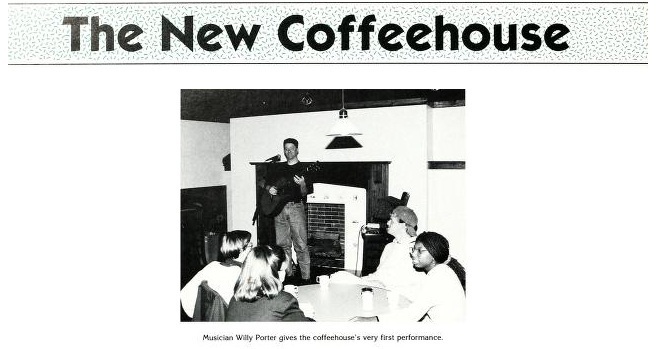 Around this time, Starbucks was a popular place to be and the coffee house tried to imitate that atmosphere. This was a small, intimate space that also feature live music performances, as you can see from the picture in 1945.